Definitely something with the Norton online presence..
Hopefully a Norton Rep sees this and can get someone to look into it. I just logged into my account without issue. Also https://status.norton.com/ is reporting all green for all services. I am still having the problem described. It's not fixed for me. After I posted, I decided to use the link someone posted here. 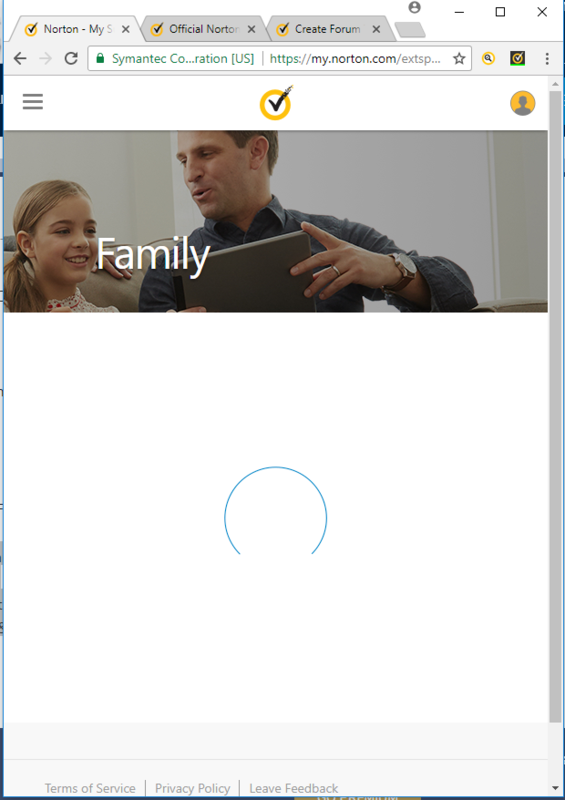 That worked and I am now able to access Norton Family. While the team is investigating the issue, could you please share the screenshot of the issue?